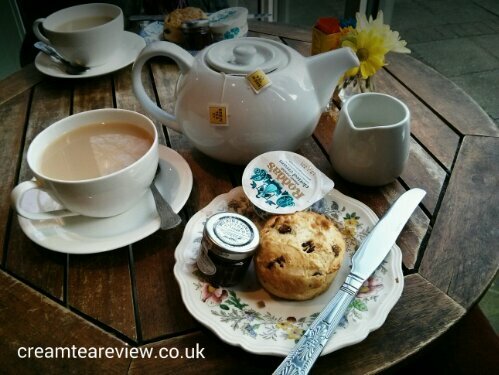 We visited The Pavilion Tea Company quite early in the day (11am on a Sunday morning), so were hoping for freshly baked scones. Sadly, the dry, large-sized plain scone gave the appearance and texture of a previous day’s batch. 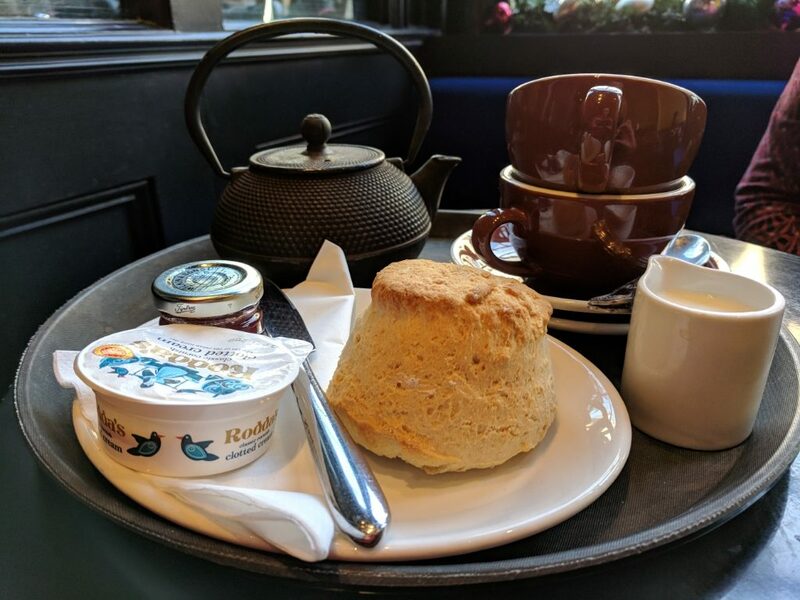 The 28g plastic tub of Rodda’s clotted cream was only just sufficient for the large open scone halves. 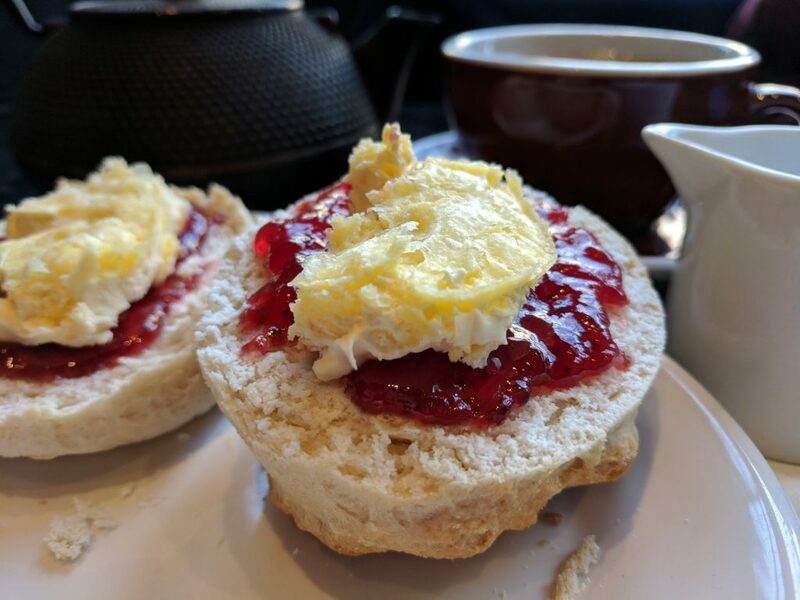 As with the cream, the jam also came in a 28g container – a small jar of Wilkin & Sons Tiptree strawberry preserve. 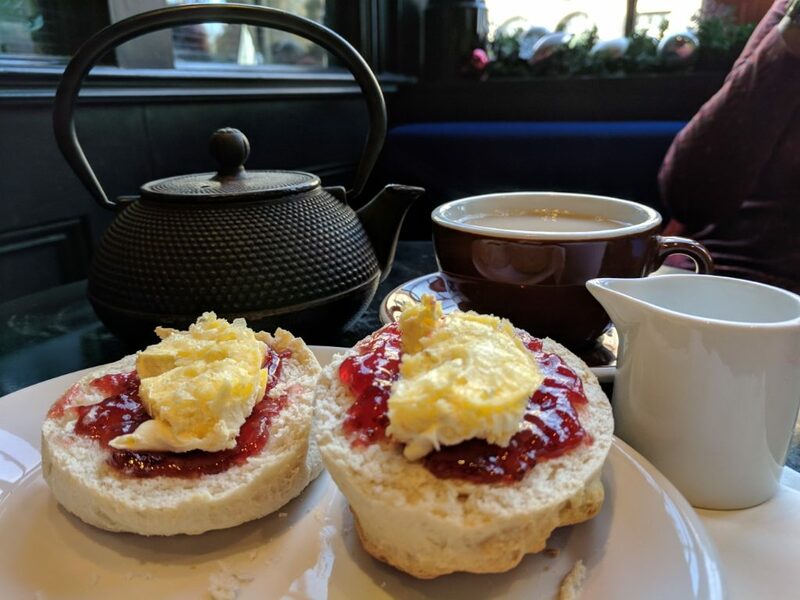 With all the attractive tea tins lining the shelves of the tearoom, we had high expectations when it came to the tea element of this cream tea. 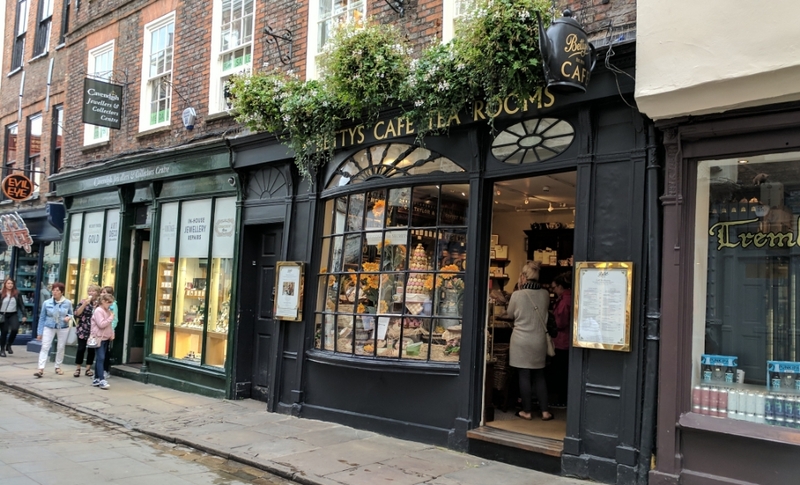 Our thrill at selecting our favourite Lapsang Souchong soon dissipated, however, when we found the attractive heavy metal teapot contained two regular teabags and not the expected loose leaves. You can get great bagged tea, but unfortunately, this unsmokey, unremarkable offering was not. 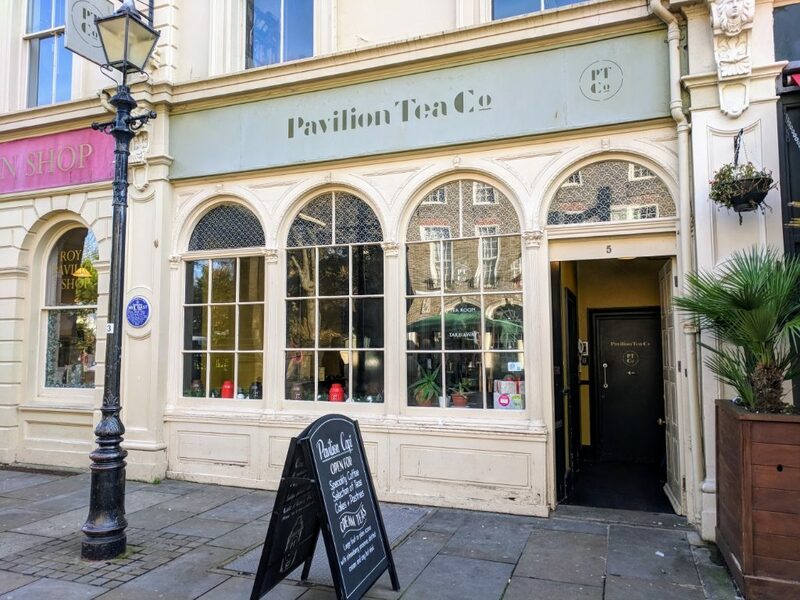 Attached to the gift shop of Brighton’s beautiful Royal Pavilion, the Pavilion Tea Company is an attractive, small cafe. 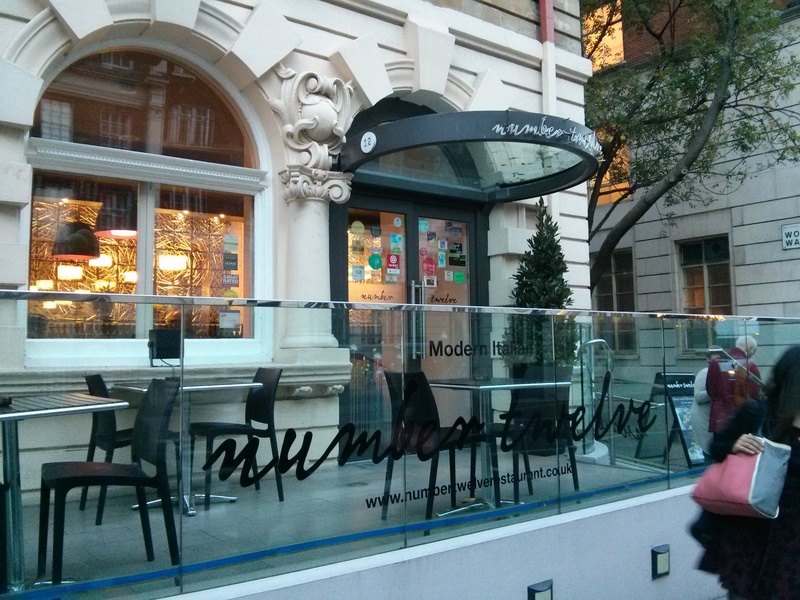 In contrast to the formal Pavilion itself however, the service here is a more down-market counter service style. The crockery and table were clean and we did like the teapot.